Author and Dating Coach Alan Roger Currie is scheduled to work with clients aboard the Island Princess on a 10-Day Cruise to the Panama Canal region that begins on Sunday, December 30, 2018. Currie also will meet with clients in Columbia, Costa Rica, and Jamaica during three of his four port stops that the Princess Cruises ship will make during the trip. Currie is the author of four books designed to help single heterosexual men improve their conversation skills with women of interest. Fort Lauderdale, FL, December 04, 2018 --(PR.com)-- For most men and women, the idea of having to work during the holiday season is usually an undesirable obligation that most seek to avoid, but for Book Author and Professional Dating Coach Alan Roger Currie, working with clients between mid-December and mid-January is something he is very accustomed to. "The seven week period between roughly mid-December and the end of January has typically been my second busiest time of the year for conducting my One-on-One / Face-to-Face Coaching sessions with male clients ... right next to the period between Memorial Day and Labor Day," said Currie, who is the author of six eBooks, four paperbacks, and four audiobooks. Currie was born and raised in Gary, Indiana, and graduated from Indiana University in Bloomington, Indiana. 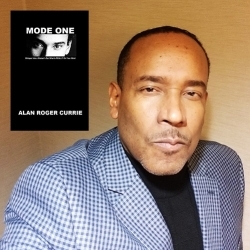 Currie's has been a professional dating coach since 2007, and his most popular book is titled "Mode One: Let the Women Know What You're REALLY Thinking," which was written to discourage single heterosexual men from lying to women, misleading women, and to avoid engaging in what Currie refers to as 'manipulative head games' with women of interest. Currie encourages men to express their romantic and sexual desires, interests, and intentions to women in a bold, upfront, specific, and straightforwardly honest manner. Many of Currie's clients, fans, and followers tend to refer to him as "a real life Hitch," which is a reference to the character portrayed by mega box-office star Will Smith in the 2005 movie of the same name. In the movie, Professional Dating Coach Alex "Hitch" Hitchens (Smith) seeks to help a client (Actor Kevin James) improve his conversation skills, his level of self-confidence, and his overall social skills with women in an attempt to help his client connect romantically with a woman of interest (Actress Amber Valletta). "I am extremely excited to be working with a couple of clients on the popular Island Princess while traveling throughout the Panama Canal region. Whenever I think of Princess Cruise ships, I think of the popular television show, 'The Love Boat.' Growing up, 'The Love Boat' was one of my favorite programs. I loved the theme song, and I loved the character of 'Isaac' played by Actor Ted Lange. That show is a classic!" Click here to view the list of recent Press Releases from Mode One Multimedia, Inc.